Desbien has started her career at Wisconsin with a 10-1-0 record in relief of Alex Rigsby. With their second weekend at home in the books, the No. 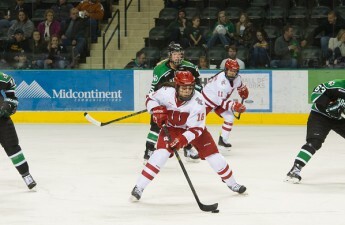 1 University of Wisconsin women’s hockey team victoriously slid past the Bemidji State University Beavers, sweeping them 5-0 and 6-0. 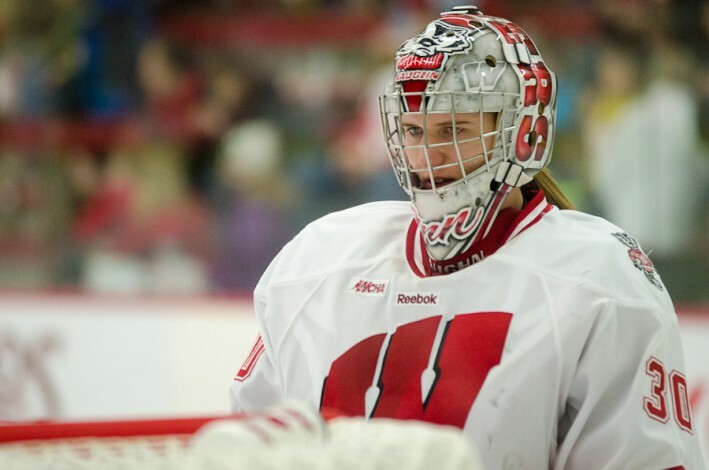 This weekend’s sweep was predominately due to the efforts of Wisconsin goaltender Ann-Renée Desbiens. Desbiens not only earned two more shutouts this weekend, but with her 44th shutout Sunday, officially clinched the NCAA career shutout record of 43. Desbiens blocked 36 attempts at goal this weekend, helping her team remain scoreless through six intense periods of play. 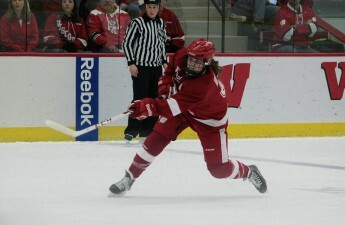 She also managed to hold down the net while the Badgers killed nine penalties between the two games. This accolade for Desbiens will complete a phenomenal series of accomplishments that the Badger goaltender has made since coming to Wisconsin. 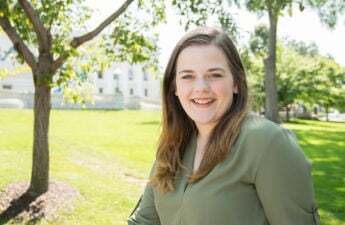 It is not something that Desbiens had planned from the beginning, and it is still something that shocks her when she looks back at it. Desbiens’ team couldn’t be more proud of her at this moment, especially her head coach Mark Johnson. Johnson took a few minutes to compliment his star goaltender on her efforts. Of course, Desbiens had a tough road to get to this accomplishment. Just this weekend alone, Desbiens defended nine penalty kills, which isn’t the usual number that she is used to facing on a weekend, and made it tough to secure two more shutouts. To help secure her net, Desbiens relied on both the Wisconsin penalty kill unit and on her defensive unit to help her out during these intense times. With penalties becoming more common in women’s hockey this season, senior defensemen Jenny Ryan knows that penalty kills are one of the most important things the Badgers need to work on. The No. 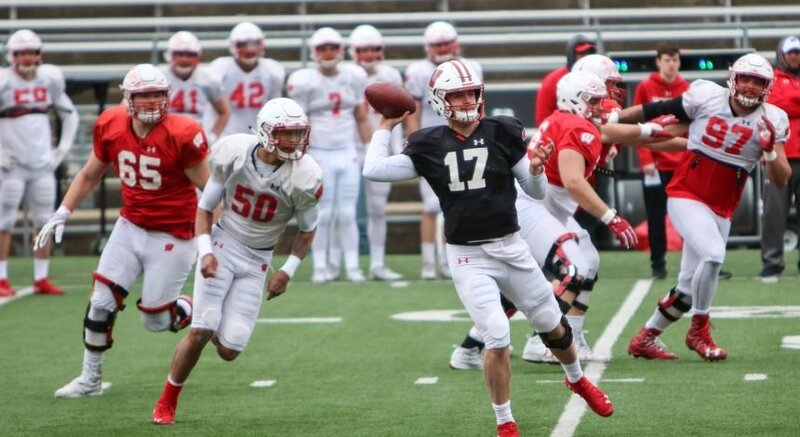 1 ranked team gets to take a break from playing for a week. Their next series against the University of Minnesota-Duluth is Nov. 18 in Duluth. Until then, the Badgers have a lot to celebrate.